This coming Monday night, the Packers host their only Monday night game at Lambeau Field. The Packers will host the Minnesota Vikings, whom they beat a few weeks ago at the Metrodome. The Vikings are sitting at the bottom of the NFC North with a 2-6 record, while the Packers remain on top of the division with an undefeated record. 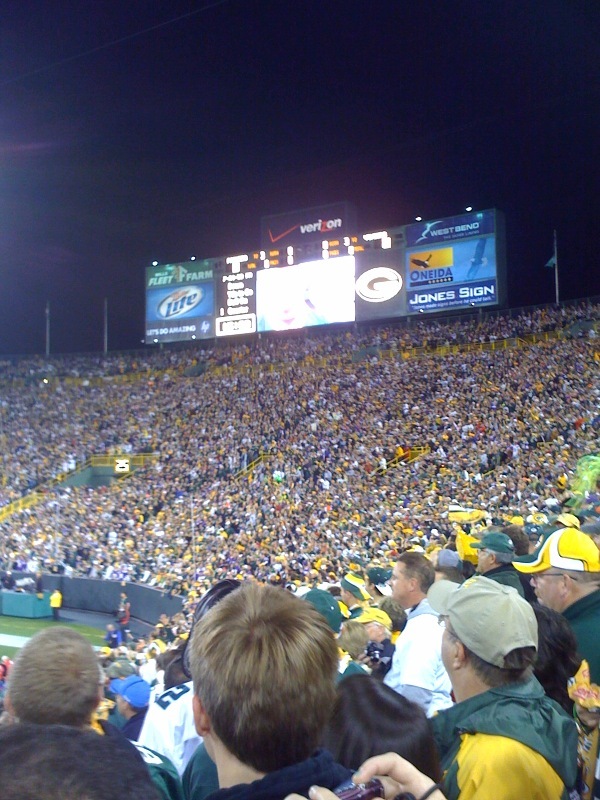 Packers Vikings tickets are still available for this game which should be a fun one to attend! Monday night games are always exciting and the atmosphere at Lambeau Field is unlike any other stadium in the league. Let's hope the Packers extend their record to 9-0 after Monday night's game. Go Packers!